My birthday is on the 26th February. My favourite game is playing ball games. In Keembe life is hard for children like me. But sponsor me today and you can change my world for good. 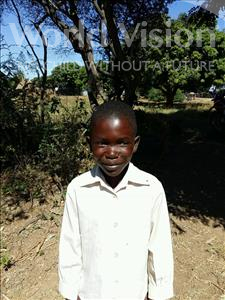 Ruben lives in Keembe, Zambia. By sponsoring him, you can help his whole community, to make it a better place for children. For children like Ruben, growing up in Keembe, malnutrition is an everyday reality. Families can't grow enough food to feed their children and not everyone has access to safe drinking water. School is far away and those who go aren’t taught well as teachers are poorly trained. Your sponsorship can change Ruben's world, and his community, for good.